Qigong is a part of the ancient Chinese doctrine which the Chinese teach themselves to maintain and improve the physical and mental health. These “health education” integrates physical postures (postures) with breathing techniques and mental focus. The word Qigong (Chi Kung) consists of two words. The first word Qi means life force or vital energy throughout the universe. The second word gong means accomplishment or actually a skill that you cultivate through practice . 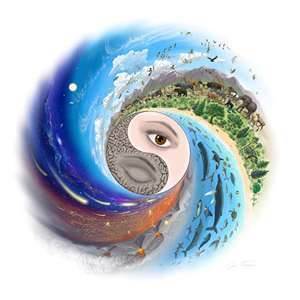 By practicing Qigong there will be a growing awareness of our multidimensional reality. One of the major long-term effects of qigong is that the body/mind/soul connection will be restored. Qigong keeps you healthy, heals the body, calms the mind and connects with your Higher Self. For some time I practice Tai Chi and Qigong. My teachers are students of the famous Dr. Pang and master Yang Jwing-Ming. It’s amazing what the effects are of the combination of techniques that I work with.